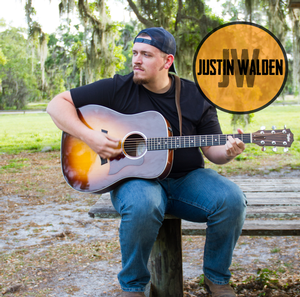 Justin E. Walden is from the great state of Tennessee tucked away in the Great Smoky Mountains where his Appalachian heritage come to fruition through his solid high lonesome tones in his music. He is a professional musician, violinist, fiddle player, banjo player, guitar player, mandolin player, pianist, lead vocalist and instructor in Tampa Bay, Florida. From the sounds of Bill Monroe's high lonesome sound to the contemporary genres of today's world, like Sugarland and Big and Rich and Leroy Anderson, he is able to integrate his passion for music into any genre. Some of Justin's influences are The Del McCoury Band, Doyle Lawson & Quicksilver, Ricky Skaggs, Bobby Hicks, and many other notable artists in the contemporary music scene today. At eight years old, Justin sat across from his dad in the church choir, Darrell watching his every move on the guitar. After expressing an interest in learning mandolin he was hired in his dad's band, Crystal Road. The band soon became Justin on the stringed instruments and lead and baritone vocals, Darrell on guitar and lead and baritone vocals, and Sandra on bass guitar and soprano. Crystal Road eventually became known in East Tennessee as the Crystal Road Band. His background has a host of achievements. He earned his Bachelor of Science degree from Southeastern University in 2014 and his Associate of Science from Tennessee Wesleyan College in 2012. At Steve Kaufman's Music Kamp, 2008-2012, he was instructed by 8-time Grammy Award-Winning Fiddler Bobby Hicks. His latest solo project is From the Beginning, Solo Project, Published 2014. Justin has performed with various bands on many albums.